I think it was around a year or so ago the coveted Clarins 230 had a bit of price drop on eBay. Instead of $100+ it was going for around $60-$80. I know quite a few people who hopped on that bandwagon and picked themselves up a bottle. Me? No way! Too high for me! 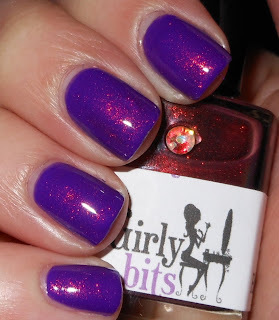 Then recently across the pond Max Factor released Fantasy Fire a tiny bottle of polish very similar to Clarins 230. I was not going to jump through hoops to get that. Plus, the bottle is so stinking small. Now this is where Girly Bits comes in. I reviewed some of her products a little while ago. She has created her own line of polishes. One of these colors is called Shift Happens. This is a near dupe to Clarins 230 and Fantasy Fire. It has the exact same color morphing effect. The only difference is it is in more a clear base versus a purple. I actually prefer this because it opens up your layering options. It is stunning! I got the idea for this color combo from Once Bitten. 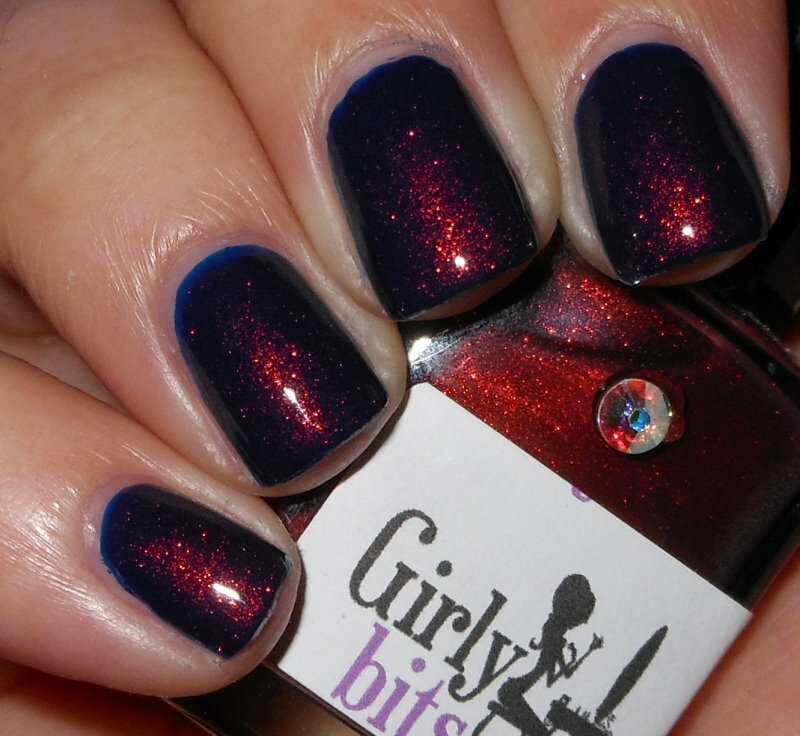 She wore Fantasy Fire over Bandeau at our meetup on Saturday. It looked fantastic! Shift Happens is a multichrome shimmer that shifts the colors pink,red,orange, and yellow. The color shift is going to be somewhat dependent on what color you use as your base. If you're using blues or violets the reds,pinks, and oranges will pop. If you're using black you'll will more likely see the full spectrum of colors it shifts. Regardless, it is absolutely stunning. You could put this on tuna fish and it would be gorgeous. I do not recommend that though. This is a must have! Stop bidding on eBay for Clarins 230 or searching high and low for Max Fantasy Fire. Shift Happens is your answer! I purchased the full size bottle of this from Pam directly for $11.50+ shipping. She also sells the mini bottles for $7.00. 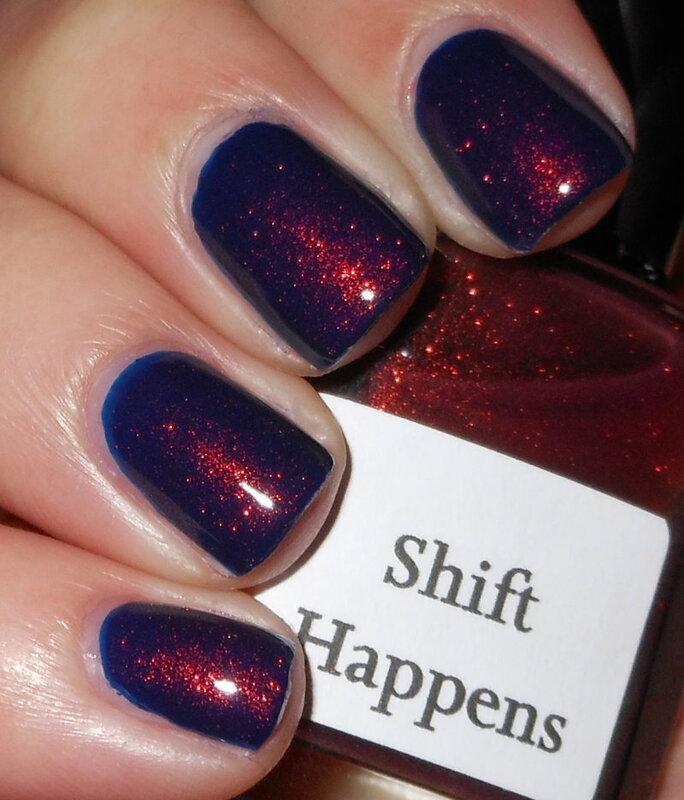 Her shop is currently closed, but in the meantime you can purchase Shift Happens from Llarowe for $13.00. It is well worth it! This is beautiful!! Definitely a better value and price too. Thankfully I got Fantasy Fire from a friend. Otherwise, I would be just looking at all the beautiful swatches because the cost is too expensive. 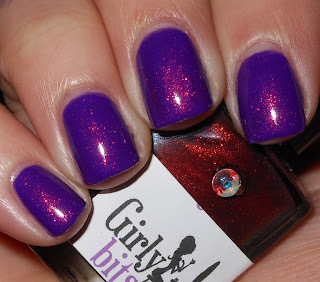 Wow you aren't kidding - this really does look like Fantasy Fire, especially over Bandeau! I cannot get enough of this baby. I love how you layered it and I cannot wait to place an order with Pam soon. Great pics Stph! I will be ordering this as soon as my no buy is over! FAB! This is going into my shopping cart! I really did want a clear base vs. the purple base that FF has. #230 had a slight yellow/blue cast to it's base when it first came out - it's so old now the base has morphed into other colors. Thanks! I'm so glad there are some options out there instead of the $$$ Clarins 230 now. I know! Thanks for the color inspiration. I didn't even think about pairing it with Bandeau. Thanks! I cannot get enough either..same with Cosmic Ocean, but that's another day! Yay! I'm sure you'll love it. That is gorgeous! I've pretty much decided that unless a major company comes out with something I absolutely must have I'm going to try and buy mostly from small/indie companies or from sellers on Etsy. There are some amazing colors, they cost less, and I'll be supporting small business. A total win in my book. I'm definitely putting this one on my wishlist. Interesting .... I missed the Clarins bandwagon and can't get MF Fantasy Fire either, so this is a great alternative! thanks for sharing, I wouldn't have known otherwise. This polish is SO beautiful! This is gorgeous... I'm so glad that there is another option beyond Clarins 230 and Fantasy Fire. Would love to have this to experiment with! nom nom nom. these combos are making droooool!